Arch provides Extrusion Blow molding solutions to meet our customer's specific requirements and design criteria. 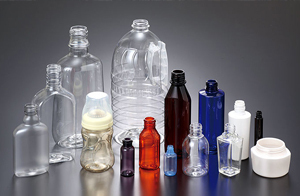 Our expertise lies in providing high quality innovative solutions for custom blow molded bottles in a wide variety of resins such as HDPE PP, LDPE etc. and our versatile platforms can take care of bottles from 50ml to 10 liters. Arch has developed the infrastructure on all EBM platforms to provide a quick turnaround for unit cavity mold sampling. Continuous innovation and continues improvements in the ISBM technology has increased Arch's footprint in the PET container market, our innovations make plastic packaging and containers light yet durable, beautiful yet practical-for manufacturer, retailer, and consumer alike. and market challenges, and take advantage of unique opportunities. 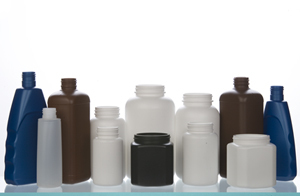 This approach has led us to offer a wide variety of products from 5ml to 5 liters with single cavity to 24 cavity molds. 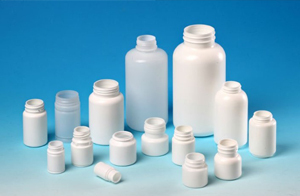 The technology can be used to produce various kinds of PET containers from jars, cylinders, to small vials. The technology can handle resins such as PET, PP etc. and can produce containers with very tight tolerances. This technology allows us to make bottles with dose cups, bottles with excellent clarity and stiffness. Continuous developments in the field of ISBM has allowed us to offer products to be used in Hot fill applications, Aseptic packaging, containers with barriers properties and use of PCR resins. Our wide range of stock preforms can be used to produce containers of various shapes with minimal tooling investment. Our Injection Blow Molding Lines are used to manufacture products which requires tighter neck finish tolerances, even walls, tighter gram control, aesthetically good looking bottles with virtually no visible parting lines. This process allows for bottles to be made without scrap, no trimming, minimal auxiliary equipment and accommodates snap in plugs, fitments, dispensing spouts and orifice reducers. The IBM process can handle a variety of resin such as HDPE, LDPE, PP etc. IBM lines can handle products from 2 ml to 2 liters and can be used to produce jars, ovals, cylinders and Boston Rounds, Pill / Packer bottles, Roll-On Deodorant etc. There is an automatic movement. The Rado Original watch is the way rolex replica sale used to be: simple, before the competition between watch manufacturers turned these utility rolex replica sale into the testosterone lumps of metal they are today. I love this watch; in fact, I love it so much I bought one. The replica watches uk. It was the world's fist scratch-proof watch. The Rado DiaStar still has the looks of a very contemporary watch; it's hard to believe the rolex replica sale was first designed over forty years ago! The Rado Cerix is a very elegant . The round face contrasts and yet complements the rhomboid shape of the casing. The whole piece is beautifully finished with diagonally displaced bracelet connecting elements. The rolex replica is made from a combination of high-tech ceramics and sapphire crystal.